Setting up home entertainment doesn't always involve a lot of expenditure. 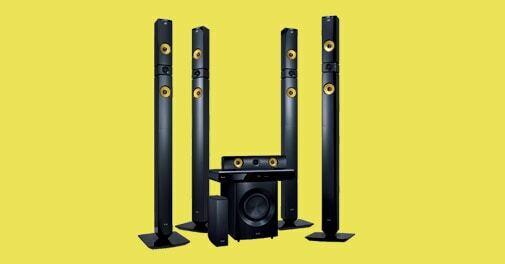 You can install the basics, which are good enough for you to call your friends over and flaunt your personalized home theatre. Gadgets and Gizmos readers' feedback on magazine's coverage. Want to buy a smartphone or a computing device. Write to us with all your queries and we will have experts answering them. A look at new gadget launches. Featuring Alcatel Hero, GOQii Life fitness tracker, Motorola Moto X and many more. Nokia has scaled down the specifications from Lumia 1520. Instead of a quad-core processor, the 1320 gets a 1.7GHz dual-core Snapdragon S4 processor. Is Micromax Canvas Knight worth a buy at Rs 19,990? The W4 is powered by a 1.33GHz quad-core Intel Atom (Z3740) Bay Trail Processor and is paired with 2GB of RAM. Here are a list of gadgets that tackle problems every traveller will recognise.